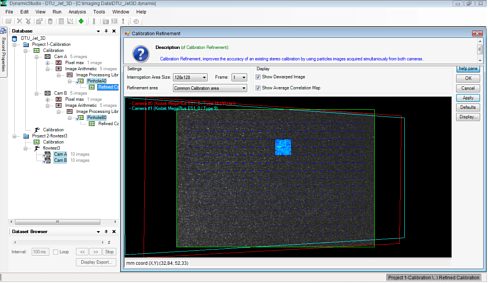 A large number of new cameras have been integrated into DynamicStudio on top of the existing cameras. The new SpeedSense family now comprises seven different cameras for time-resolved imaging � each one suited to its special application. For example, the SpeedSense 1010 and 1020 cameras allow direct streaming of images through a Dual Channel CameraLink interface to hard disk. This means a virtually unlimited length of your recordings.